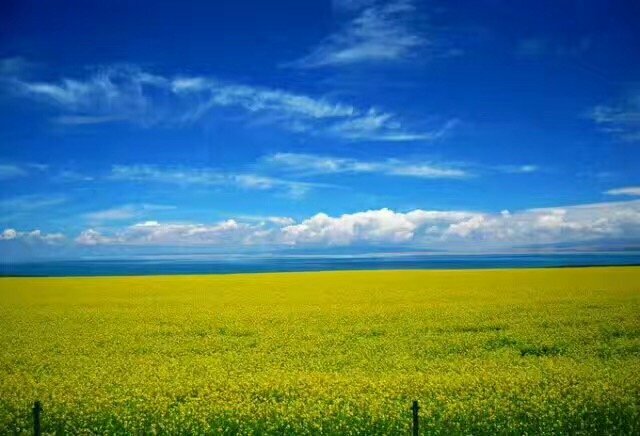 Qinghai Lake or 青海湖 , as the largest salt lake in China and with an altitude of 3,200 meters above sea level, and one of the 4 holiest lakes in Tibet is the definitive icon of Qinghai Province. The characters “Qinghai” actually mean “Turquoise Sea” and this lake, with a total length of 120km across at the widest point and a total surface area of 4,489 km squared, really does feel like looking across a vast sea. As the largest saline lake in China, Qinghai Lake, historically known as Koko Nor, is situated in the northeast corner of Qinghai Province. 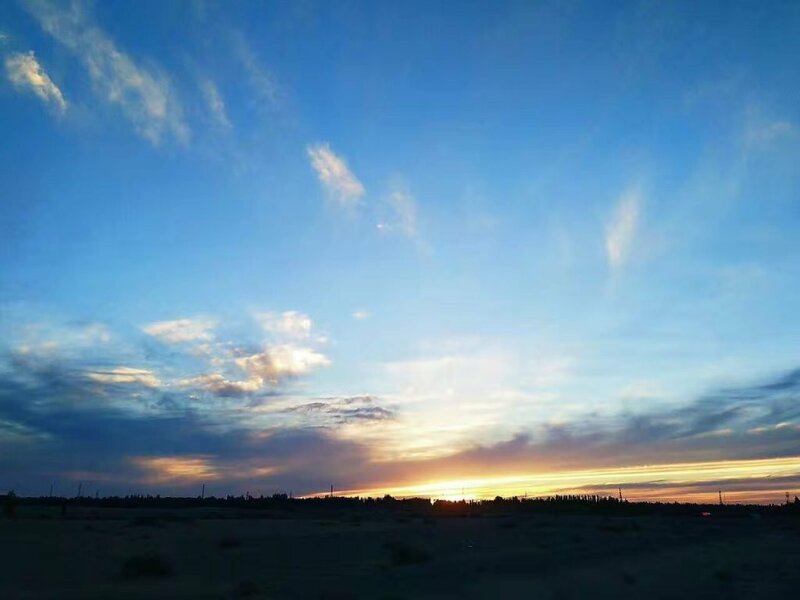 The names “Qinghai” and “Kokonor” both reflect the vast beauty of the lake and both mean “Blue Sea” in Standard Mandarin and Mongolian respectively. 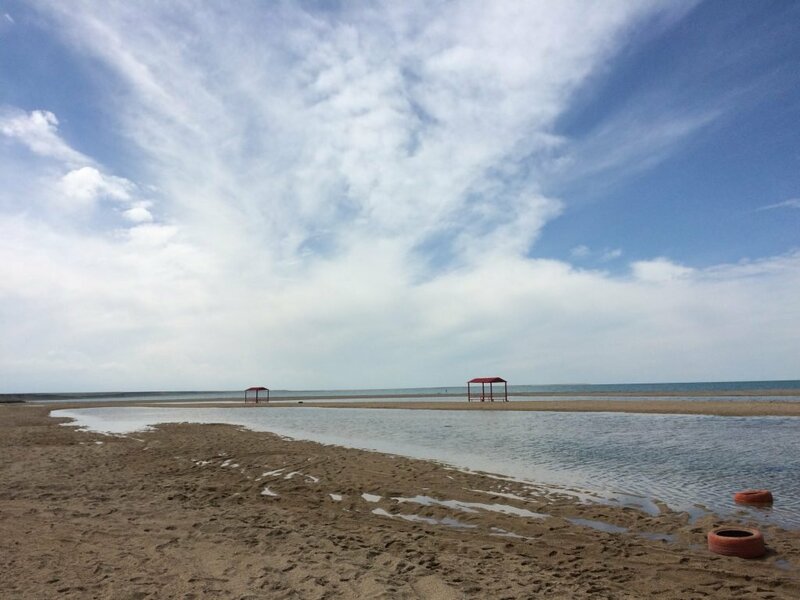 Twenty-three rivers and streams empty into Qinghai Lake, most of them seasonal. Five permanent streams provide 80% of the total influx. 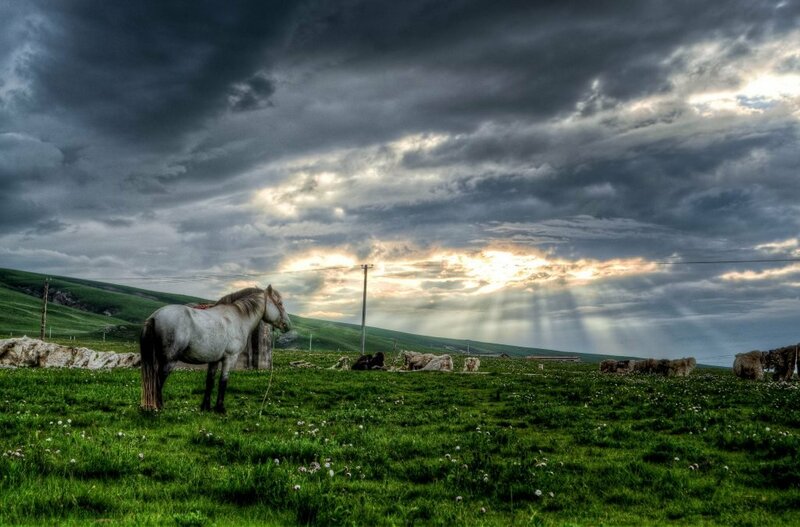 Situated in the Northeast of Qinghai Province and with an area of 4,489 sq.km (988 ac. ), it is twice as large as the famous Tai Lake. 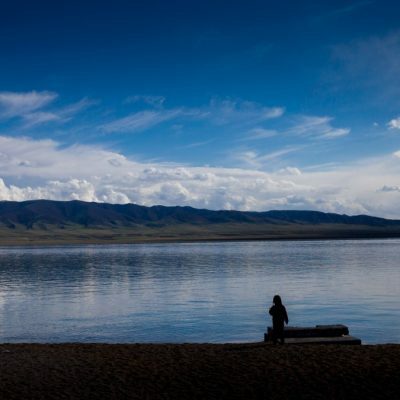 It is a beautiful lake not only for its scenic spots, vast views, and beautiful islands and but also for the lively Tibetan culture surrounding the lake shore. 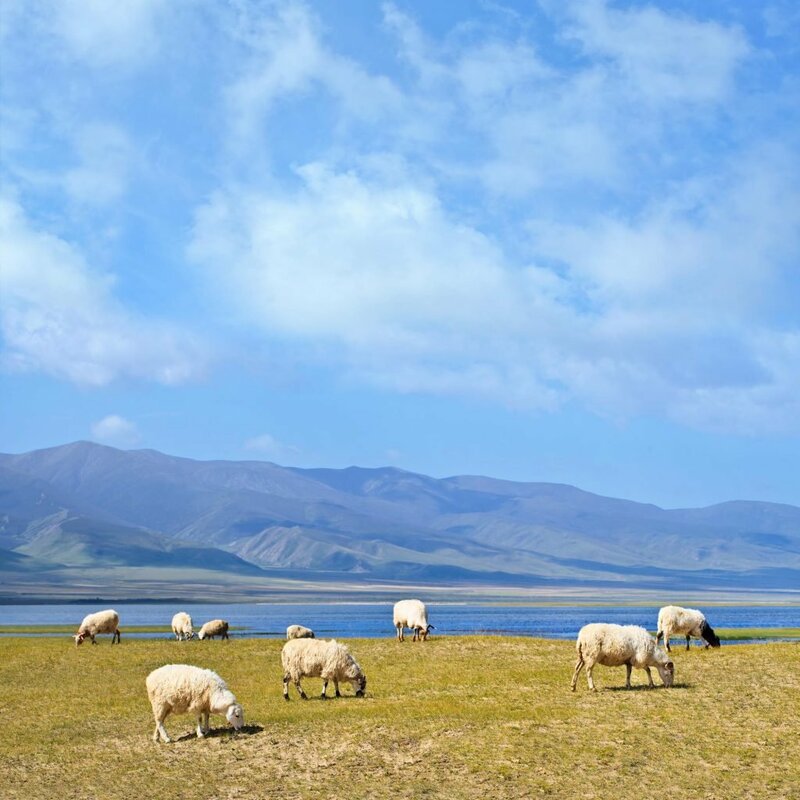 Located in the northeast of 4,500-meter-high (14,764 ft.) Tibetan Plateau, Qinghai Lake can look like a bright reflective mirror calmly seated between the vast grasslands and surrounding snow mountains. 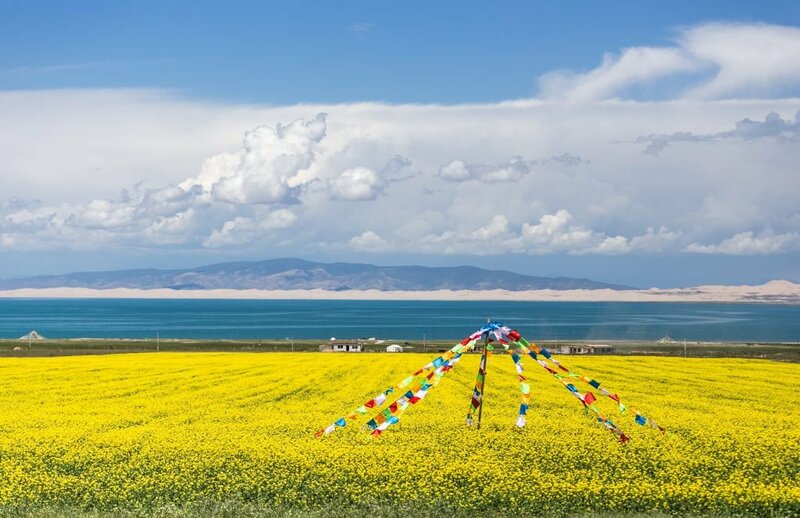 Qinghai Lake is an important place in history which has been the traditional meeting place between Mongolian and Tibetan cultures. Despite its salinity, Qinghai Lake has an abundance of fish but most of these species are illegal to catch and fish. Sadly, the lake is shrinking at a rate of 10 cm a year as there is no permanent outflow and the inflow has decreased with increased water usage. Most of the rivers and lak. es that used to feed into the lake are drying up due to a combination of over grazing, farming downstream, water diversion for crop irrigation, and damming. The lake has a number of attractions that draw travelers in this region in, but many of these spots, including Sand Island and Bird Island, have been closed as of Fall 2017 to help protect the sensitive environment of this fragile region. 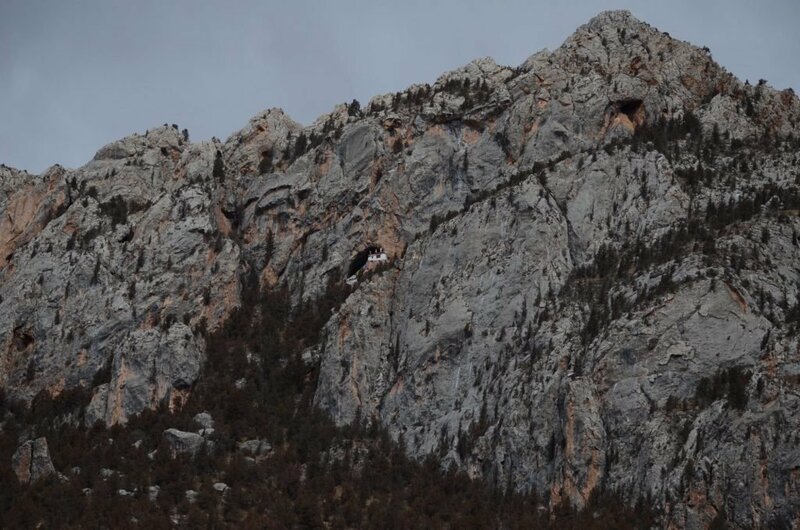 In the above video you can see some scenes from Serdzong Monastery in the rock cliffs near Xinghai. After a night near Qinghai Lake, we will continue to drive 3 hours south to a very remote monastery seen by very few foreigners, Serdzong Monastery. 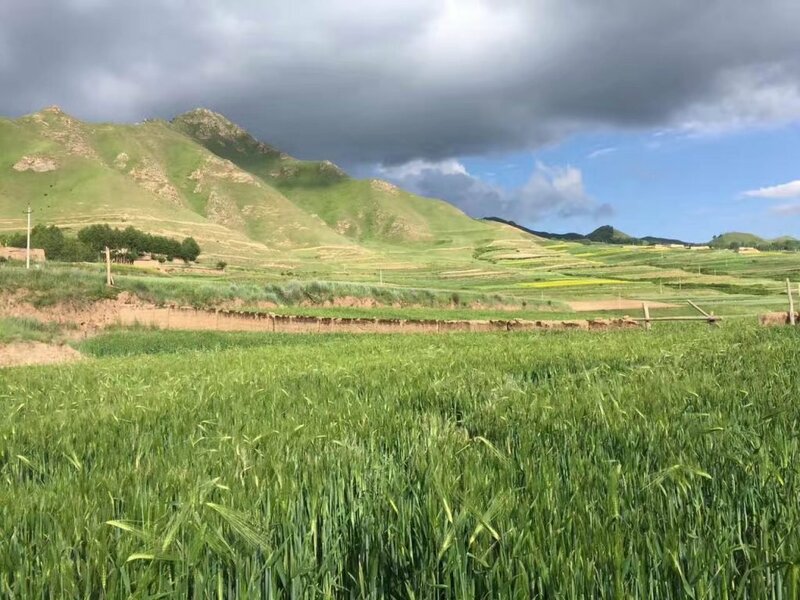 From Qinghai Lake we will drive to the town of Xinghai 兴海 and then drive through a gorgeous desert canyon to arrive in front of the gnarled cliffs that envelope Serdzong Monastery. The monastery is interesting in its own right but most of the larger temple buildings have been newly built from concrete and lack some of the older character of other older monasteries. Nonetheless, the sparkling temple roofs as they shimmer and glint in the sun is quite stunning. In the shoulder seasons (April, May, September, October, and November) there are no tent hotels available, but there are 2-3 fairly nice three and four hotels in Xinghai that can host foreigners. 8:30am - Meet in Xining (possibly at your hotel or hostel). 9:30am - Drive 2.5 hours (150km) to Qinghai Lake. At 3260 meters in elevation, this is the largest saltwater lake in China. 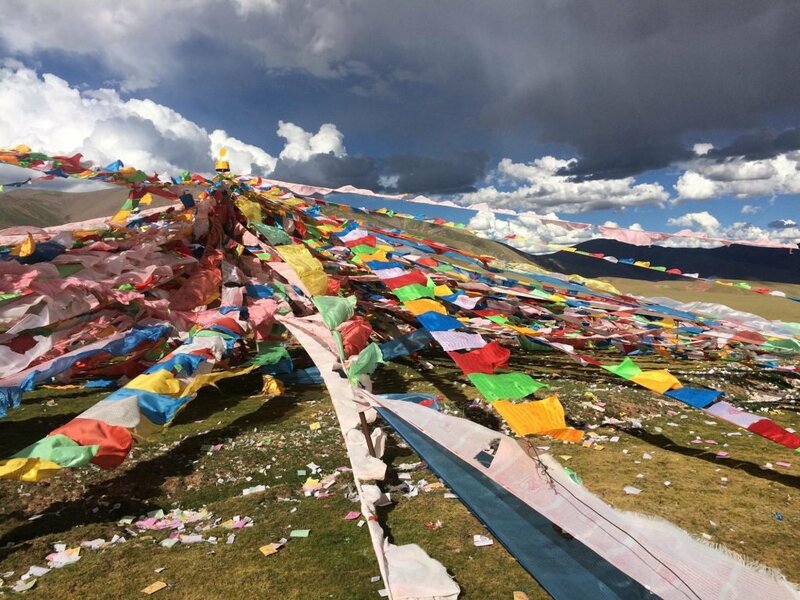 Stop along the drive to view the high grasslands and Tibetan Prayer flags overlooking the lake. 12:30pm- Enjoy the shores of the high altitude lake. 2:00pm- Drive from the lake to day hike to get a view of the lake below. 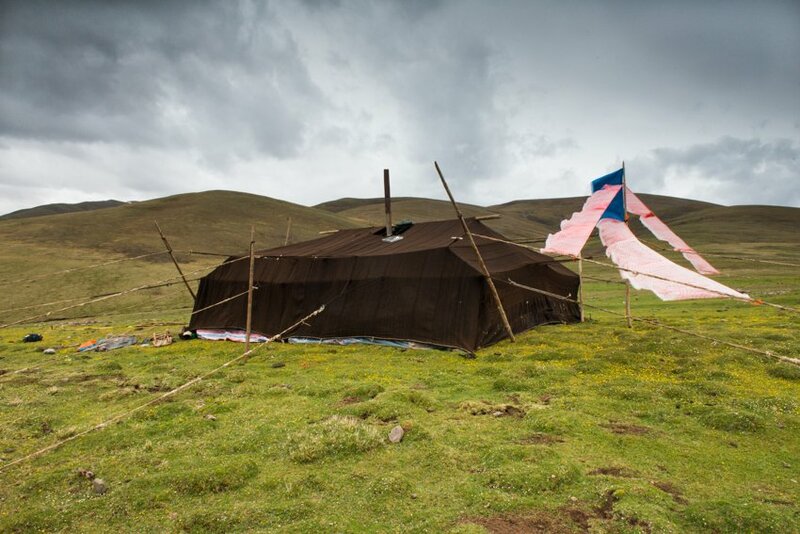 7:30pm - Watch the stars and talk about history and stories of the area as well as the nomadic culture around us and it’s dependence on the yak. 2:00pm - Arrive Serdzong Monastery, day hike to 4,000 meter viewpoints along high walled cliff faces overlooking the monastery and the nearby nomad village. At the end of the hike explore this remote monastery. 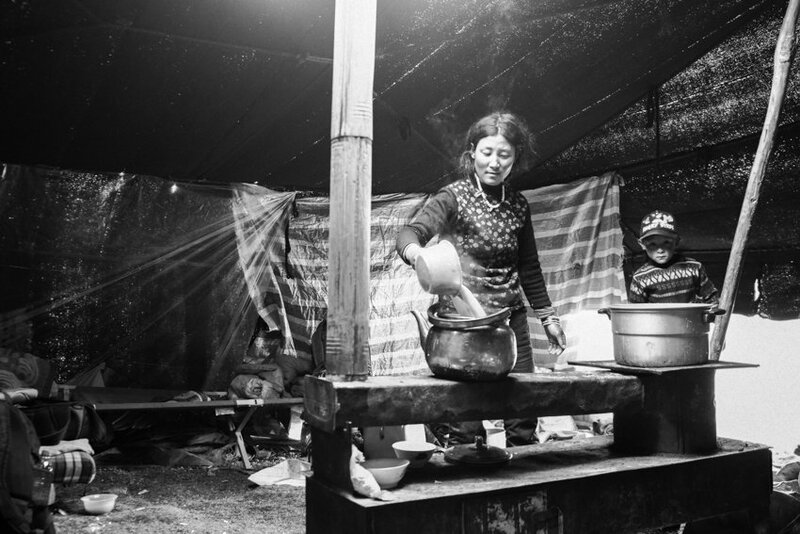 NOTE: In the summer there is an option to sleep in a Tibetan nomad tent in the high grasslands near Serdzong Monastery if you would like to experience authentic Tibetan food and culture in a very indigenous way. Please contact us and let us know if you would rather sleep in this option rather than in a hotel. 6:00 pm - Arrive in Xining for dinner. Tour Officially ends. Please let us know if you would like us to schedule you a nice Tibetan style dinner in Xining or need help with your lodging in Xining.